Apple Thoughts: Hey Kids, Tired of Holding That iPad on Long Drives? Hey Kids, Tired of Holding That iPad on Long Drives? 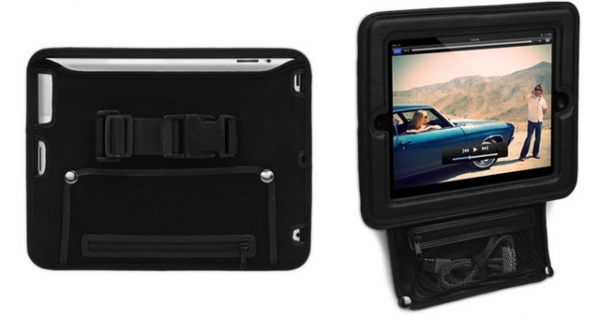 "There are several iPad cases which have straps to let you fasten them to the headrests of your car seats so people in the back can watch movies. The trouble is, they're almost all bulky and ugly, as they try to cram too much into one case." And this one is no different in the design arena. But hey, unless the screen is built into the headrest, you are going to run into the same problem with every holder. $39.99 USD will get you a set of your own, so they aren't too expensive.